For many years, TFT displays have been the dominating technology in visualization. 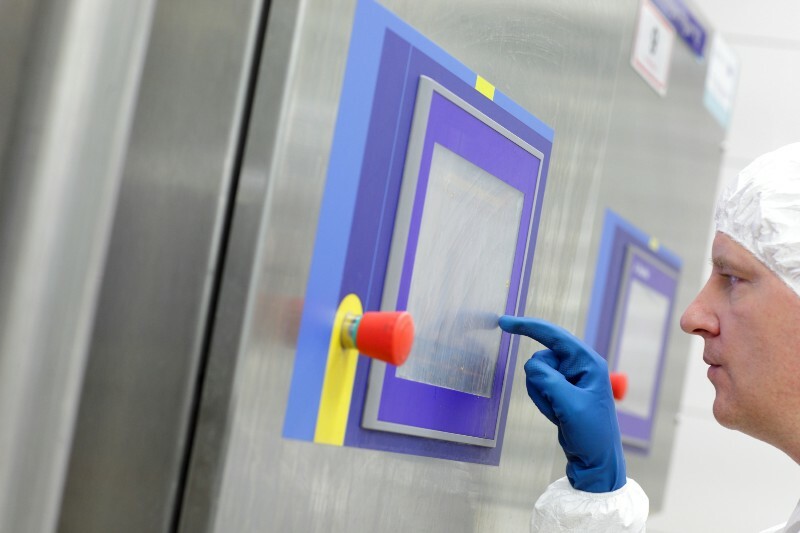 Active matrix flat panels are all around in our daily lives — in consumer and automotive applications, in our business environments, in healthcare, and within communication devices, home appliances and factory automation products. Despite the number of LCD products available today, not all are suitable for every application. To provide the best match of LCD display and application, it is important to understand the specific target market and its unique design issues. The vast majority of displays are designed for consumer applications such as smart phones, cameras, tablet computers and gaming devices.But they have very different requirements than those for industrial applications. Due to very competitive pricing and quick production cycles, consumer display modules don’t always incorporate the durability, reliability, and advanced features required to survive in an industrial environment. Product life cycles are also typically much shorter in consumer applications. Screens manufactured for these applications are generally only available for one, in best case two years.In contrast, display modules for industrial applications require long product life cycles — often up to ten or even more years. Plus,when an industrial module is discontinued by the manufacturer, a successor product should be backward-compatible so as to fit into the existing enclosure without requiring a redesign of the entire system. The ability to withstand temperature variations as well as shock and vibration is also a key consideration when selecting displays for today’s industrial applications. They must be resilient enough to withstand frequent bumpsor jiggles by machine operators and surrounding equipment, and also must be able to handle various operating temperatures. Industrial displays are typically housed in an enclosure as part of a larger piece of equipment. In these situations, heat generated by the surrounding equipment gets trapped within the enclosure, which can be detrimental to many displays. Therefore, it is important to keep the real storage and operating temperature requirements in mind when choosing a display. While measures can be taken to dissipate the generated heat — such as using fans within the enclosure — the most efficient way to ensure compliance with storage and operating temperature requirements is to select a display that is optimized for these types of environments. Fortunately, improvements in liquid-crystal materials have made it possible to extend the operating temperature ranges of LCDs from –30 to 80°C presently. In general, industrial devices should be more rugged compared to standard devices. 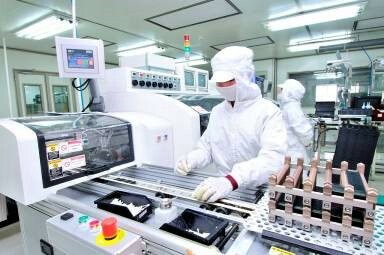 Minimizing the number of pin and socket connectors and introducing chip-on-glass semiconductors is one way to achieve higher shock and vibration resistance.Also, installing metal bezels instead of plastic cabinets helps to improve the unit’s EMI characteristics and mechanical resistance. Adding chemically strengthened front glass helps to avoid scratches and blemishes on the user surface. It is important that displays used in industrial applications support clear and precise viewing from multiple angles under a variety of ambient light conditions. The brighter the environment, the more difficult it can be to read a standard transmissive LCD display with a typical brightness of 250 to 300 cd/m2. NVD has developed displays that can perform in the 800-cd/m2-and-higher range by implementing high-efficency LEDs for the backlight unit– if necessary, in combination with special brightness enhancement films. 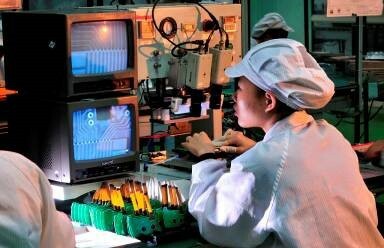 Increasing the display’s contrast ratio is another effective way display manufacturers can improve display readability in bright environments.Typical contrast ratios for non-industrial displays are in the range of 200:1 to 300:1, which may not be sufficient when a machine operator is viewing the display from a distance. Displays with contrast ratios around 500:1 or greater are better suited for industrial environments. Another benefit to this method is that it doesn’t increase power consumption. Transflective technologies are a good solution for environments with variable lighting. Having both transmissive and reflective characteristics, transflective TFT display have the option of using a backlight in dim lighting (transmissive mode), as well as using reflective properties in bright lighting (reflective mode). This reduces power consumption and heat production in reflective mode since the backlight isn’t used. Multi-angle readability is another key selection factor. In a typical industrial environment, a machine operator is more likely to be positioned at an off-angle rather than right in front of the screen.Implementing a display designed for consumer applications typically doesn’t work well in this situation, as there is image distortion and color shifting when viewed at an angle.But, a number of technologies have been employed to improve off-angle viewing in displays, making them suitable for industrial applications. Some film-based technologies yield viewing angles of 160º horizontally and 140º vertically, but in some cases this is still not sufficient.In-plane switching technology (IPS), multi domain vertical alignment (MVA) and fringe field switching (FFS) offer alternatives. These proprietary technologies are able to achieve viewing angles of almost 90-degrees into all four directions without any color shift. Size and resolution also play a role in overall readability. Displays between 2 and 15-inch diagonal size are used most often in industrial applications. These sizes provide sufficient area to view figures, waveforms and other graphical data without taking up too much real estate on a piece of equipment. From an aspect ratio 4:3 initially, industrial displays are now shifting to wide formats with WVGA to WXGA resolutions. The wide-aspect format enables users to view longer waveforms and more data on a single display. These display modules can also be designed to incorporate touch-key functions, allowing equipment manufacturers to skip physical switches and buttons and design HMIs based more on software than hardware. New Vision Display’s experts are prepared to assist in defining appropriate solutions for all applications and in helping find the right balance between display manufacturing cost and performance.